A recent report from The Bureau of Labor Statistics has listed El Centro College’s Food and Hospitality Institute as #39 in the nation! 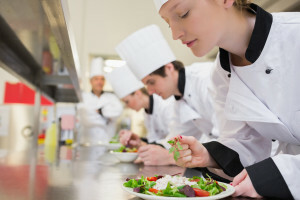 El Centro College is the ideal location for chefs and other culinary professionals in the metroplex; and with several restaurants catered and nearby to the urban downtown Dallas crowd, it provides and excellent opportunity for hands-on training and employment right outside the door. The Dallas West End is proud to have El Centro College in the heart of downtown, with career-oriented programs and courses ranging from Criminal Justice to Engineering to Cardiac Sonography, El Centro College is the leader for Dallas County Community College and their exceptional programs. El Centro College is perfect for the urban student, with the convenient location of being located in the heart of downtown Dallas – the West End. El Centro College is conveniently located less than a block away from the West End DART Station and near Texas-exclusive restaurants and shops. With so many great things to do in downtown Dallas, El Centro is truly the heart of education in the West End. In addition to the culinary institute, El Centro College offers a full list of courses and other programs. The requirements and paths to degrees can be found on the El Centro College course catalog. Y.O. Ranch Steakhouse: Where Texas Hill Country and French cuisine meet. Ellens Southern Kitchen: Nationally- recognized breakfasts and coffee bar. Also open for lunch and dinner! RJ Mexican Cuisine: Mexican fare and unique cocktails in a cozy setting. 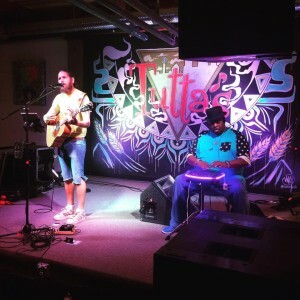 Tutta’s Pizza: Fresh pizza dough, great drink selection, live bands, and karaoke. While the Dallas West End is not your traditional college town, it offers access to great dining options, entertainment, and transportation – making El Centro College a premiere place to attend and attain a culinary degree. In fact, students who use DART can ride for free with 6 credit hours required (3 in the summer). 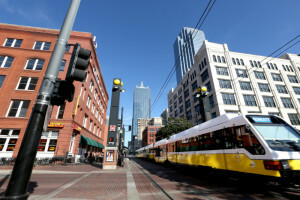 The West End in downtown Dallas is the epitome of a unique, creative educational experience for students at El Centro College to learn and engage in their respective programs. There are several reasons to love the West End in downtown Dallas, and having our neighborhood college ranked as one of the top in the culinary world further solidifies downtown Dallas as a leading city for food, education, and living. El Centro College is proud to be apart of the West End, and we look forward to seeing students serve and work in the growing and thriving community here!